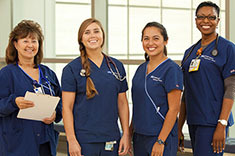 UCLA Health Department of Nursing is committed to sustained excellence. 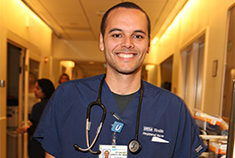 On an annual basis, our team of nursing experts carefully evaluate the unit-based learning needs and competencies of staff. A structured program, comprised of lectures, hands-on training, and evaluation, is provided to ensure that direct care nurses are performing at the highest level necessary to provide safe and effective patient care. What is a nurse competency? For a comprehensive list of completed online learning modules go to Employee Online Training Completion Report.